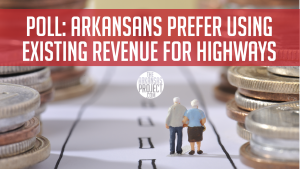 Arkansans favor using existing state revenue rather than raising taxes to increase funding for highways, according to a recent survey by the Arkansas Department of Transportation. 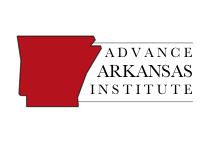 Respondents were given multiple options about ways to increase highway funding in the department’s Citizen’s Opinion Survey on Highways In Arkansas. Five of the six options involved raising taxes or fees. One option included transferring tax revenue on sales of vehicles and tires from the general fund to pay for highways. Respondents were able to choose multiple options. By far the most popular choice with respondents was the non-tax increase option. This option received support from 64 percent of respondents, according to results released by the Department of Transportation this week. No other option was able to muster 50 percent support. The second-most popular option was an increase in the diesel tax, which received 48 percent support. A gas tax increase received only 34 percent support from respondents. Arkansas already has the highest state gas tax rate in the region (21.8 cents per gallon) when compared to surrounding states. Arkansas also has the second highest sales tax in the country. Arkansas voters approved a half-cent sales tax increase as recently as 2012 (set to expire in 2022) to pay for highway improvements. Arkansans seem to be telling lawmakers and bureaucrats that they want existing revenue to be used for funding highways before more tax hikes are considered. Only time will tell if they’ll be listened to. 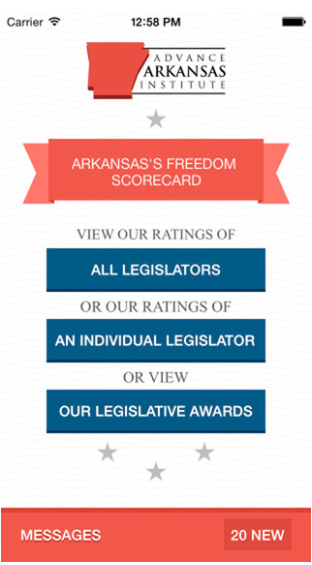 ← Another Good Value in Arkansas!